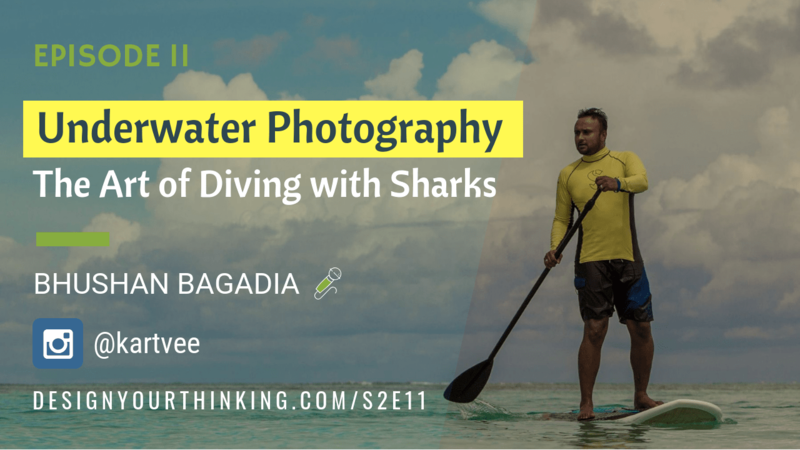 In this episode I speak with Bhushan Bagadia, one of India’s leading Underwater Photographers. In this hour-long conversation, Bhushan talks about his love for underwater photography, the way he combined his interests to tell the stories below the blue oceans by diving with sharks, helping conserve the coral reefs and more. He also shares his approach to teaching underwater photography in 4 weeks. Bhushan Bagadia is a Photographer and Cinematographer. He took deep interest in Underwater Photography 10 years back, and is also a certified diver. He has dived in many dive sites to photograph sharks and help non-profits who are working to conserve the Coral Reefs. Bhushan enjoys Sports Photography, and does a lot of that when he is not doing Underwater Photography. He was the official photographer for the Mumbai Indians for IPL Seasons 2013 and 2014. He also is the Co-Founder of Simply Breathe where he organizes Yoga, Diving and Mindfulness retreats. Bhushan studied filmmaking at the New York Film Academy followed by advanced courses in the School of Visual Arts in New York. Why Should You Listen to Bhushan Bagadia? He chose to take the road less traveled although the reins to his father’s factory and business were waiting for him. Bhushan has been an entrepreneur since a very early age, and has grown an event management business before choosing to get into photography. He takes time to teach some of the finer aspects of what makes him a sought-after photographer, and also shares his approach to teaching underwater photography (he doesn’t take classes otherwise). What was your first camera and when you picked it up? You’ve taken different kinds of photos. What do you look for, when you take a picture? What was the Sardines Run all about? Weren’t you afraid of being killed by a shark? What is your favorite photographic moment? Can you tell us the story behind that picture? What do you look for in a picture you create, at a deeper level? What does your camera kit look like? How long did it take to have a kit like this? How has photography changed with the advent of newer technologies? Cameras tech has improved so much. Is it a competition between first vs best? Do you see technology as a threat to your profession? Who are the people who’ve had a great influence on you and your work? How would you teach photography in 4 weeks if I gave you a million dollars for doing it? What is one lesson from doing business as a photographer? Did you have a godfather? Bhushan Bagadia’s interview is available in audio. How to Get In Touch with Bhushan Bagadia? Bhushan’s first camera was a Canon 5D Mark III, and the one he currently uses is Canon 5D Mark IV. His go-to lens is the 24-70mm f/2.8, and his underwater lens is a 16-35mm. 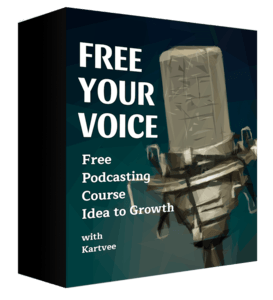 This show is brought to you by Thrive Membership from Thrive Themes. Think about this. Back in the early 2000s, a lot of photographers and creative business owners started using Myspace to showcase their work and also grow their businesses. Jim, was one of them. But in just a few years, Facebook arrived and a lot of these businesses, including Jim, found themselves in a deserted place, and had to literally start from scratch. Jim lost all his leads, customer contacts and everything else he had going on, inside Myspace. This is bound to happen when you rent a place…like a social media platform, to grow your business and brand. Here’s something I want you to consider. Take full control of your business and your brand. Bring your customers and leads to your own website. And you can do it all by yourself, without having to spend thousands of dollars on a web agency. ffThrive Membership by Thrive Themes can help you do just that. You can have your website, completely from scratch in just a few hours. Thrive Membership comes with a ton of readymade design templates, lets you collect email addresses, and 11 powerful tools to build your business presence online. And for all of this you pay just $19/month. Not a penny more. To learn more about Thrive Membership, go to designyourthinking.com/thrive. I use this personally, and if you have any questions, do drop an email to hello AT designyourthinking.com with ’Thrive’ in the subject line, and me or my team will be happy to help you get unstuck. Again, the link is designyourthinking.com/thrive.